I have a 75 HP Evinrude that I need to put on a stand. I thought I saw a "design" for such a stand, but I can't find it again. 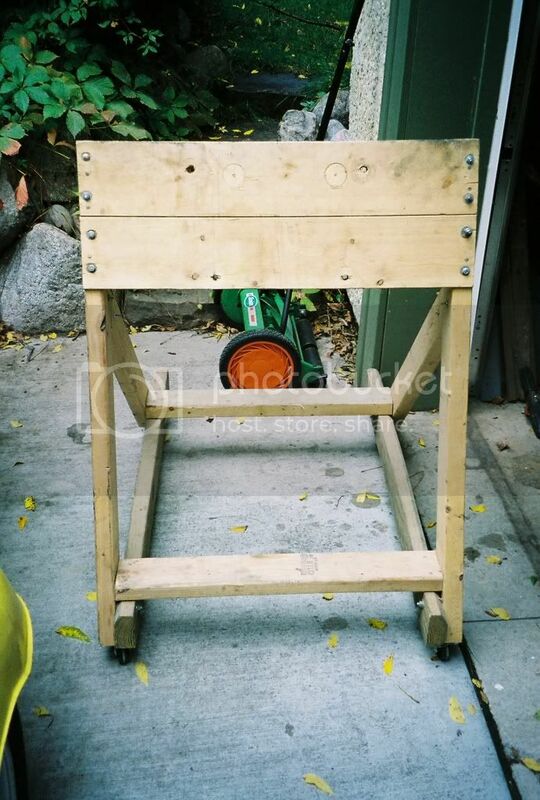 Anyone have pictures of a home-made stand that you've made? 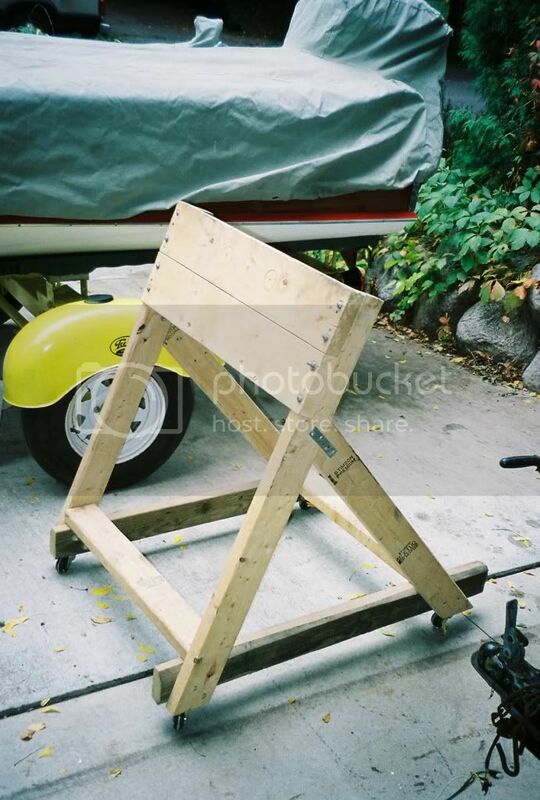 I have some ideas on how to build one myself, but I'm sure that a Dockside member has already figured it out. Here's one I made. All the lumber is scrap that was in the pile at home. I used BOLTS, not nails and screws. She's held a 105 HP Chrsyler, 75 HP Johnson, and 110 HP Mercury at various times in her life. Use the biggest casters you can make work. I went to fiberglassics.com, but I couldn't find any engine stand pictures. No doubt, I didn't look in the correct places. Could you give me some "click on, then, then, tips"? I think you can do a search in the forum. I'll snap a picture of the one I built and post it for you tonight. It holds my 290 pound 100hp nicely. It's on casters so I can move it around easily.